There can be few schools better situated than saltash.net community school. It is located on the edge of a relatively modern residential area, commanding fine views over the rivers Lynher and Tamar, towards and beyond Plymouth Sound as well as over impressive countryside, including the edge of Dartmoor. 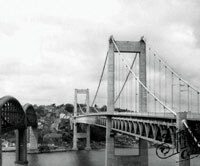 The town of Saltash, with its population of about 16,000, is itself well located. 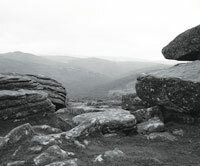 The Cornish coast is within easy reach as is Dartmoor National Park, both being about 25 minutes away. The main A38 road gives easy access to all other parts of Cornwall and also means that Exeter and the M5 are less than 50 minutes away. The railway station in the town centre, a short walk away, is on the main line route to London Paddington, which can be reached in just over three hours. In the opposite direction, the train will take you along the scenic Cornish Main Line, providing unparalleled views throughout the county. Plymouth has a wide range of activities and services including a regional shopping area, a major theatre, various leisure/entertainment facilities, the National Marine Aquarium, a number of well known historic sites such as Plymouth Hoe and the Mayflower Steps, not to mention a rapidly improving football league team! Overall, therefore, the local geography, transport links and various facilities guarantee that this is an opportunity not to be missed.